I got two comments in favor of Ninject so treated as separate option. 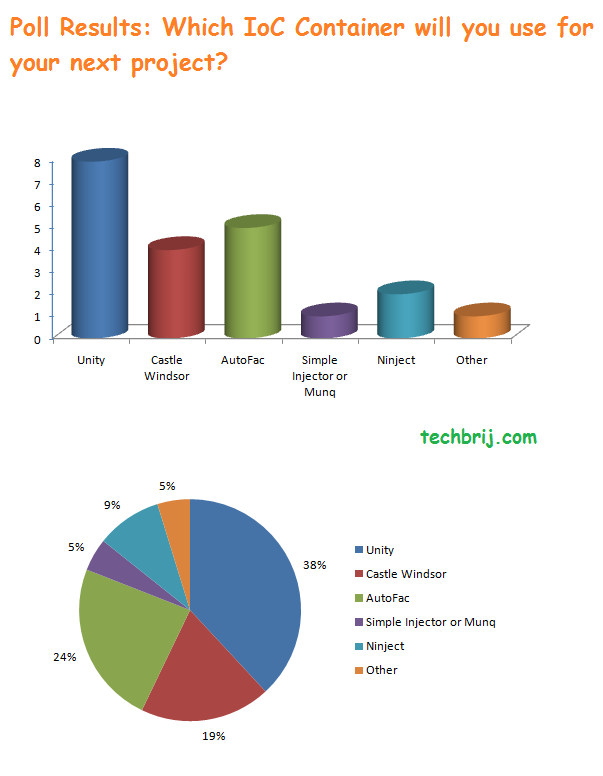 The Top 3 preferred IoC Containers are Unity, Autofac and Castle Windsor. To avoid spamming, you need to login with any social media service (Facebook, Twitter or Google+). Don’t forget to vote and share your thoughts in the next poll. Note: If you missed the poll, don’t worry, you can share your thoughts in the comment box.